This work is devoted to the seventieth Doctor of Physical and Mathematical Sciences, Professor Vasily Ivanovich Bernik. In her curriculum vitae, a brief analysis of his scientific work and educational and organizational activities. The work included a list of 80 major scientific works of V.I. Bernik. 1. Bernik, V. I. An analogue of Hincin’s theorem in the metric theory of Diophantine approximations of dependent variables. I. (Russian) Vesci Akad. Navuk BSSR Ser. Fiz.-Mat. Navuk 1977, no. 6, 44–49, 141. 2. Bernik, V. I. Induced extremal surfaces. (Russian) Mat. Sb. (N.S.) 103(145) (1977), no. 4, 480–489, 630. 3. Bernik, V. I. The Baker-Schmidt conjecture. (Russian) Dokl. Akad. Nauk BSSR 23 (1979), no. 5, 392–395, 475. 4. Bernik, V. I. The exact order of approximation of almost all points of a parabola. (Russian) Mat. Zametki 26 (1979), no. 5, 657–665, 813. 5. Bernik, V. I. A metric theorem on the simultaneous approximation of zero by values of integer polynomials. (Russian) Izv. Akad. Nauk SSSR Ser. Mat. 44 (1980), no. 1, 24–45, 238. 6. Bernik, V. I., Ptasnik, B. I. A boundary value problem for a system of partial differential equations with constant coefficients. (Russian) Differentsial?nye Uravneniya 16 (1980), no. 2, 273–279, 381. 7. Bernik, V. I. Application of the Hausdorff dimension in the theory of Diophantine approximations. (Russian) Acta Arith. 42 (1983), no. 3, 219–253. 8. Bernik, V. I. A proof of Baker’s conjecture in the metric theory of transcendental numbers. (Russian) Dokl. Akad. Nauk SSSR 277 (1984), no. 5, 1036–1039. 9. Bernik, V. I. A property of integer polynomials that realize Minkowski’s theorem on linear forms. (Russian) Dokl. Akad. Nauk BSSR 30 (1986), no. 5, 403–405, 477. 10. Bernik, V. I., Morotskaya, I. L. Diophantine approximations in Qp and Hausdorff dimension. (Russian) Vestsi Akad. Navuk BSSR Ser. Fiz.-Mat. Navuk 1986, no. 3, 3–9, 123. 12. Bernik, V. I. Applications of measure theory and Hausdorff dimension to the theory of Diophantine approximation. New advances in transcendence theory (Durham, 1986), 25–36, Cambridge Univ. Press, Cambridge, 1988. 13. Bernik, V. I. Diophantine approximations on differentiable manifolds. (Russian) Dokl. Akad. Nauk BSSR 33 (1989), no. 8, 681–683, 762. 14. Bernik, V. I. The exact order of approximating zero by values of integral polynomials. (Russian) Acta Arith. 53 (1989), no. 1, 17–28. 15. Bernik, V. I., Kovalevskaya, E. I. Extremal two-dimensional surfaces in a four-dimensional Euclidean space. (Russian) Acta Arith. 53 (1990), no. 4, 333–349. 17. Bernik, V. I., Pereverseva, N. A. The method of trigonometric sums and lower estimates of Hausdorff dimension. New trends in probability and statistics, Vol. 2 (Palanga, 1991), 75–81, VSP, Utrecht, 1992. 18. Bernik, V. I., Dombrovskii, I. V. U3-numbers on curves in R2. (Russian) Vestsi Akad. Navuk Belarusi Ser. Fiz. Mat. Navuk 1992, no. 3-4, 3–7, 123. 19. Bernik, V. I., Tishchenko, K. I. Integral polynomials with an overfall of the coefficient values and Wirsing’s theorem. (Russian) Dokl. Akad. Nauk Belarusi 37 (1993), no. 5, 9–11, 121 (1994). 21. Beresnevich, V. V., Bernik, V. I. Extremal smooth curves in three-dimensional Euclidean space. (Russian) Dokl. Akad. Nauk Belarusi 38 (1994), no. 3, 9–12, 122. 23. Beresnevich, V., Bernik, V. On a metrical theorem of W. Schmidt. Acta Arith. 75 (1996), no. 3, 219–233. 24. Bernik, V. I., Marozava, I. M. R. Baker’s conjecture and regular sets of algebraic numbers with a restriction on the value of the derivative. (Belorussian) Vestsi Akad. Navuk Belarusi Ser. Fiz.-Mat. Navuk 1996, no. 3, 109–113, 133. 25. Bernik, V. I., Dodsan, M. The exact order of zero approximation by values of integral polynomials of a complex variable. (Belorussian) Dokl. Akad. Nauk Belarusi 40 (1996), no. 3, 10–13, 122. 27. Bernik, V. I., Dickinson, H., Dodson, M. M. A Khintchine-type version of Schmidt’s theorem for planar curves. R. Soc. Lond. Proc. Ser. A Math. Phys. Eng. Sci. 454 (1998), no. 1968, 179–185. 28. Bernik, V. I., Dykinsan, Kh., Dodsan, M. Approximation of real numbers by values of integer polynomials. (Belorussian) Dokl. Nats. Akad. Nauk Belarusi 42 (1998), no. 4, 51–54, 123. 29. Bernik, V. I., Kovalevskaya, E. I. The distribution of rational points close to a smooth manifold and Hausdorff dimension. Proceedings of the 13th Czech and Slovak International Conference on Number Theory (Ostravice, 1997). Acta Math. Inform. Univ. Ostraviensis 6 (1998), no. 1, 31–35. 30. Bernik, V., Dickinson, H., Yuan, J. Inhomogeneous Diophantine approximation on polynomials in Qp. Acta Arith. 90 (1999), no. 1, 37–48. 31. Bernik, V. I., Vasil?ev, D. V. A Khinchin-type theorem for integer-valued polynomials of a complex variable. (Russian) Proceedings of the Institute of Mathematics, Vol. 3 (Russian), 10–20, Tr. Inst. Mat. (Minsk), 3, Natl. Akad. Nauk Belarusi, Inst. Mat., Minsk, 1999. 33. Bernik, V. I., Dodson, M. M. Metric theory of Diophantine approximation in the field of complex numbers. Number theory and its applications (Kyoto, 1997), 51–58, Dev. Math., 2, Kluwer Acad. Publ., Dordrecht, 1999. 34. Bernik, V. I. On the exact order of approximation of plane points by points with algebraic coordinates. (Russian) Dokl. Nats. Akad. Nauk Belarusi 43 (1999), no. 6, 22–25, 123–124. 35. Beresnevich, V. V., Bernik, V. I., Dickinson, H., Dodson, M. M. The Khintchine-Groshev theorem for planar curves. R. Soc. Lond. Proc. Ser. A Math. Phys. Eng. Sci. 455 (1999), no. 1988, 3053–3063. 36. Beresnevich, V., Bernik, V. A. Baker’s conjecture and Hausdorff dimension. Dedicated to Professor Kalman Gyory on the occasion of his 60th birthday. Publ. Math. Debrecen 56 (2000), no. 3-4, 263–269. 37. Berasnevich, V. V., Bernik, V. I., Dykinsan, Kh., Dodsan, M. On linear manifolds for which the Khinchin approximation theorem holds. (Belorussian) Vestsi Nats. Akad. Navuk Belarusi Ser. Fiz.-Mat. Navuk 2000, no. 2, 14–17, 139. 38. Bernik, V., Kleinbock, D., Margulis, G. A. Khintchine-type theorems on manifolds: the convergence case for standard and multiplicative versions. Internat. Math. Res. Notices 2001, no. 9, 453–486. 39. Bernik, V. I. Upper bounds for the measure of real numbers with a given finite order of approximation. (Russian) Dokl. Nats. Akad. Nauk Belarusi 45 (2001), no. 3, 15–17, 123. 40. Beresnevich, V. V., Bernik, V. I., Kleinbock, D. Y., Margulis, G. A. Metric Diophantine approximation: the Khintchine-Groshev theorem for nondegenerate manifolds. Dedicated to Yuri I. Manin on the occasion of his 65th birthday. Mosc. Math. J. 2 (2002), no. 2, 203–225. 41. Beresnevich, V. V., Bernik, V. I. Diophantine approximation on classical curves and Hausdorff dimension. Analytic and probabilistic methods in number theory (Palanga, 2001), 20–27, TEV, Vilnius, 2002. 42. Beresnevich, V. V., Bernik, V. I., Dodson, M. M. Regular systems, ubiquity and Diophantine approximation. A panorama of number theory or the view from Baker’s garden (Zurich, 1999), 260–279, Cambridge Univ. Press, Cambridge, 2002. 43. Beresnevich, V. V., Bernik, V. I., Dodson, M. M. On the Hausdorff dimension of sets of wellapproximable points on nondegenerate curves. (Russian) Dokl. Nats. Akad. Nauk Belarusi 46 (2002), no. 6, 18–20, 124. 44. Bernik, V. I., Vasil?ev, D. V., Dolson, M. M. Metric theorems on the approximation of real numbers by algebraic numbers of a special type. (Russian) Dokl. Nats. Akad. Nauk Belarusi 46 (2002), no. 3, 60–63, 125. 45. Bernik, V. I. The Khinchin transference principle and lower bounds for the number of rational points near smooth manifolds. (Russian) Dokl. Nats. Akad. Nauk Belarusi 47 (2003), no. 2, 26–28. 46. Bernik, V. I., Kalosha, N. I. Approximation of zero by values of integral polynomials in the space R? C?Qp. (Russian) Vestsi Nats. Akad. Navuk Belarusi Ser. Fiz.-Mat. Navuk 2004, no. 1, 121–123. 47. Beresnevich, V. V., Bernik, V. I., Kovalevskaya, E. I. On approximation of p-adic numbers by p-adic algebraic numbers. J. Number Theory 111 (2005), no. 1, 33–56. 50. Bernik, V. I., Vasil?ev, D. V. Diophantine approximations on complex manifolds in the case of convergence. (Russian) Vestsi Nats. Akad. Navuk Belarusi Ser. Fiz.-Mat. Navuk 2006, no. 1, 113–115, 128. 51. Shamukova, N. V., Bernik, V. I. Approximation of real numbers by integer algebraic numbers, and the Khinchin theorem. (Russian) Dokl. Nats. Akad. Nauk Belarusi 50 (2006), no. 3, 30–32, 125. 52. Kovalevskaya, Ella, Bernik, Vasily . Simultaneous inhomogeneous Diophantine approximation of the values of integral polynomials with respect to Archimedean and non-Archimedean valuations. Acta Math. Univ. Ostrav. 14 (2006), no. 1, 37–42. 53. Budarina, N. V., Dikkinson, Kh., Bernik, V. I. Khinchin’s theorem and simultaneous approximations of zero by values of integer polynomials in R?C. (Russian) Vestsi Nats. Akad. Navuk Belarusi Ser. Fiz.-Mat. Navuk 2007, no. 2, 48–52, 125. 54. Bernik, V. I., Kalosha, N. I. Benford’s law and the approximation of logarithms of natural numbers by rational numbers. (Russian) Vestsi Nats. Akad. Navuk Belarusi Ser. Fiz.-Mat. Navuk 2007, no. 3, 68–73, 127. 55. Budarina, N. V., Dikkinson, Kh., Bernik, V. I. Khinchin’s theorem and the approximation of zero by values of integer polynomials in different metrics. (Russian) Dokl. Akad. Nauk 413 (2007), no. 2, 151–153; translation in Dokl. Math. 75 (2007), no. 2, 201—203. 56. Bernik, V., Gotze, F., Kukso, O. Bad-approximable points and distribution of discriminants of the product of linear integer polynomials. 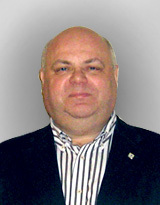 Chebyshevskii Sb. 8 (2007), no. 2, 140–147. 57. Bernik, V., Budarina, N., Dickinson, D. A divergent Khintchine theorem in the real, complex, and p-adic fields. Lith. Math. J. 48 (2008), no. 2, 158–173. 58. Bernik, Vasili, Gotze, Friedrich, Kukso, Olga . Lower bounds for the number of integral polynomials with given order of discriminants. Acta Arith. 133 (2008), no. 4, 375–390. 59. Bernik, V., Gotze, F., Kukso, O. On the divisibility of the discriminant of an integral polynomial by prime powers. Lith. Math. J. 48 (2008), no. 4, 380–396. 60. Kukso, O. S., Bernik, V. I. A connection between the value of a discriminant and the behavior of a polynomial in a neighborhood of a root. (Russian) Dokl. Nats. Akad. Nauk Belarusi 52 (2008), no. 2, 23–25, 124. 61. Beresnevich, Victor, Bernik, Vasily, Dodson, Maurice, Velani, Sanju. Classical metric Diophantine approximation revisited. Analytic number theory, 38–61, Cambridge Univ. Press, Cambridge, 2009. 62. Bernik, Vasilii, Kukso, Olga . On the relation between values of integer polynomials, their derivatives and metric theory of Diophantine approximations. Siauliai Math. Semin. 4(12) (2009), 7–19. 63. Kalugina, M. A., Bernik, V. I. Lower bounds for the number of rational points near plane curves. (Russian) Dokl. Nats. Akad. Nauk Belarusi 53 (2009), no. 5, 32–35, 124. 64. Piryutko, E. V., Bernik, V. I. The Hensel lemma and approximations of p-adic numbers by algebraic numbers. (Russian) Vestsi Nats. Akad. Navuk Belarusi Ser. Fiz.-Mat. Navuk 2009, no. 4, 50–53, 126. 65. Budarina, Natalia, Dickinson, Detta, Bernik, Vasili . Simultaneous Diophantine approximation in the real, complex and p-adic fields. Math. Proc. Cambridge Philos. Soc. 149 (2010), no. 2, 193–216. 66. Beresnevich, Victor, Bernik, Vasili, Gotze, Friedrich . The distribution of close conjugate algebraic numbers. Compos. Math. 146 (2010), no. 5, 1165–1179. 67. Beresnevich, V. V., Bernik, V. I., Gettse, F. Simultaneous approximations of zero by an integral polynomial, its derivative, and small values of discriminants. (Russian) Dokl. Nats. Akad. Nauk Belarusi 54 (2010), no. 2, 26–28, 125. 68. Beresnevich, V. V., Bernik, V. I., Getse, F. On the distribution of the values of the resultants of integral polynomials. (Russian) Dokl. Nats. Akad. Nauk Belarusi 54 (2010), no. 5, 21–23, 125. 69. Budarina, N. V., Bernik, V. I., O’Donnel, Kh. Conditions under which the closest root to an argument of an integral polynomial is a real number. (Russian) Vestsi Nats. Akad. Navuk Belarusi Ser. Fiz.-Mat. Navuk 2011, no. 1, 118–119, 128. 71. Budarina, N. V., Dikkinson, D., Bernik, V. I. On real and complex roots of integer polynomials in a neighborhood of their small values. (Russian) Dokl. Nats. Akad. Nauk Belarusi 55 (2011), no. 5, 18–21, 123..
72. Bernik, Vasilii, Gotze, Friedrich, Kukso, Olga . Regular systems of real algebraic numbers of third degree in small intervals. Analytic and probabilistic methods in number theory, 61–68, TEV, Vilnius, 2012. 73. Bernik, Vasilii, Budarina, Natalia . On arithmetic properties of integral polynomials with small values on the interval. Siauliai Math. Semin. 8(16) (2013), 27–36. 74. Bernik, V., Beresnevich, V., Gotze, F., Kukso, O. Distribution of algebraic numbers and metric theory of Diophantine approximation. Limit theorems in probability, statistics and number theory, 23–48, Springer Proc. Math. Stat., 42, Springer, Heidelberg, 2013. 75. Bernik, V. I., Budarina, N., O’Donnell, H. On regular systems of real algebraic numbers of third degree in short intervals. Proc. Steklov Inst. Math. 282 (2013), suppl. 1, S54–S66. 76. Bernik, Vasilii, Gotze, Friedrich, Kukso, Olga . On algebraic points in the plane near smooth curves. Lith. Math. J. 54 (2014), no. 3, 231–251. 77. Bernik, V. I., Gettse, F. Distribution of real algebraic numbers of arbitrary degree in short intervals. (Russian) Izv. Ross. Akad. Nauk Ser. Mat. 79 (2015), no. 1, 21–42; translation in Izv. Math. 79 (2015), no. 1, 18—39. 78. Bernik, V., Gotze, F. A new connection between metric theory of Diophantine approximations and distribution of algebraic numbers. Recent trends in ergodic theory and dynamical systems, 33–45, Contemp. Math., 631, Amer. Math. Soc., Providence, RI, 2015. 79. Budarina, N. V., Bernik, V. I., O’Donnell, Kh. How do the discriminants of integer polynomials depend on the mutual distribution of roots? (Russian) Chebyshevskii Sb. 16 (2015), no. 1(53), 153–162. 80. Budarina, N. V., Dikkinson, D., Bernik, V. I. Upper bounds for the number of integer polynomials with given discriminants. (Russian) Tr. Inst. Mat. 23 (2015), no. 2, 29–36.